Utilities, utility software, tools, utilities for free download PC Timer, Ashampoo Undeleter, Batchsync, EaseUS MobiSaver, FonePaw Android Data Recovery, 3uTools, MobiKin Eraser for Android, Fireebok Data Recovery, Fone Rescue, MobiKin Assistant for Android Download for free! »» Free download PC Timer! PC Timer ::: a computer program that allows users to schedule the shutdown of the computer. Using PC Timer, you have access to several options to manage the scheduled shutdown of your computer. PC Timer is very useful when we have to leave the PC open for a while in our absence. 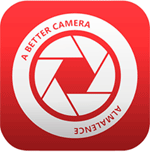 »» Free download Ashampoo Undeleter! Ashampoo Undeleter ::: a software that allows users to retrieve files. Using Ashampoo Undeleter you can recover lost files, files accidentally deleted or damaged due to system errors. Ashampoo Undeleter supports the most popular file systems and the most popular storage devices. Batchsync ::: a computer program that allows users to manage files and folders. Using Batchsync organize files and folders is a much easier work. Batchsync lets you move, copy, rename or delete files. »» Free download EaseUS MobiSaver! EaseUS MobiSaver ::: a computer program that allows users to recover deleted data from devices with installed iOS operating system. Using EaseUS MobiSaver you can recover deleted, deleted by mistake or lost files. EaseUS MobiSaver is a stable, fast and efficient data recovery program. »» Free download FonePaw Android Data Recovery! FonePaw Android Data Recovery ::: a computer program that allows users to recover deleted data from devices that have installed the Android operating system. Using FonePaw Android Data Recovery you can recover deleted files, lost files, files deleted by mistake, etc. FonePaw Android Data Recovery is a data recovery program stable, fast and very effective. 3uTools ::: a computer program that allows users to manage devices that have an iOS operating system installed. Using 3uTools, you can manage and organize all the content of your phone. 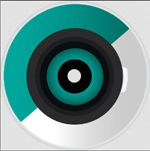 3uTools allows you to manage your videos, audios, e-books or playlists. »» Free download MobiKin Eraser for Android! MobiKin Eraser for Android ::: a computer program that allows users to erase and wipe Android devices. Using MobiKin Eraser for Android you can permanently erase files, contacts or messages. MobiKin Eraser for Android is very useful when you want to sell your Android phone. »» Free download Fireebok Data Recovery! Fireebok Data Recovery ::: a tool used to recover deleted or lost files. Using Fireebok Data Recovery you can recover deleted or lost data from hard drives, memory cards, USB memories or digital cameras. Fireebok Data Recovery supports the most popular file systems and the most popular storage devices. »» Free download Fone Rescue! Fone Rescue ::: a computer program that allows users to recover deleted data from devices with installed iOS operating system. Using Fone Rescue you can recover audio files, video files, photos or documents. Fone Rescue is a stable, secure, fast and efficient software. »» Free download MobiKin Assistant for Android! MobiKin Assistant for Android ::: a computer program that allows users to manage devices that have an Android operating system installed. Using MobiKin Assistant for Android you can make backup copies, transfer files or take screenshots. MobiKin Assistant for Android allows you to manage and edit your contacts, delete and install applications or manage multimedia content.